The analogy is irresistible and the comparison inescapable. Dr. Frankenstein experienced an epic epiphany when he realized his good intentions had gone awry and he was responsible for creating a monster which was a threat to the public’s health and welfare. And now the same realization has dawned on the White House and Democratic Senate. 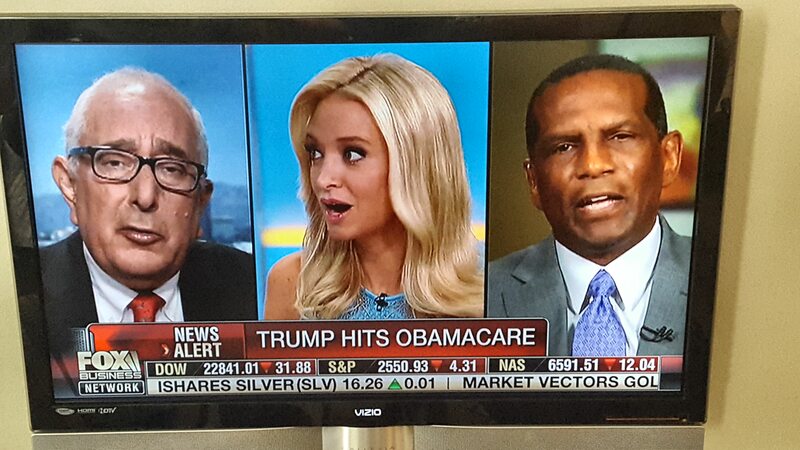 They ignored all the polls which have always indicated the majority of Americans are not in favor of Obamacare. They ignored the entreaties of the Republicans (not one of whom voted for the Act) to at first repeal; then later, to post-pone the individual mandate. Now, with November’s mid-term elections on the horizon, they are pressing the panic button and back-pedaling in an overtly political attempt to mitigate fallout at the polls. Last week they modified the individual mandate allowing those who like their non-compliant plan to keep their plan through 2016. But what went unnoticed and unreported by the media was their latest move (also last week) to destroy their own creation wherein they modified the hardship exemption. It now allows anyone whose health plan was canceled due to Obamacare to sign a form stating such–and that the act of purchasing ACA compliant coverage would be “hardship”– to opt out of a purchase with no financial repercussions. The details of the exemption are outlined in our feature article in The Wall Street Journal which concludes the exemption is essentially available to anyone who wants one. 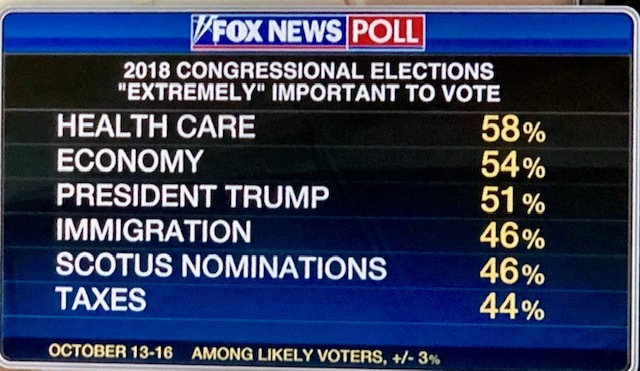 In reality, the Democrats are realizing they are falling on their own sword. 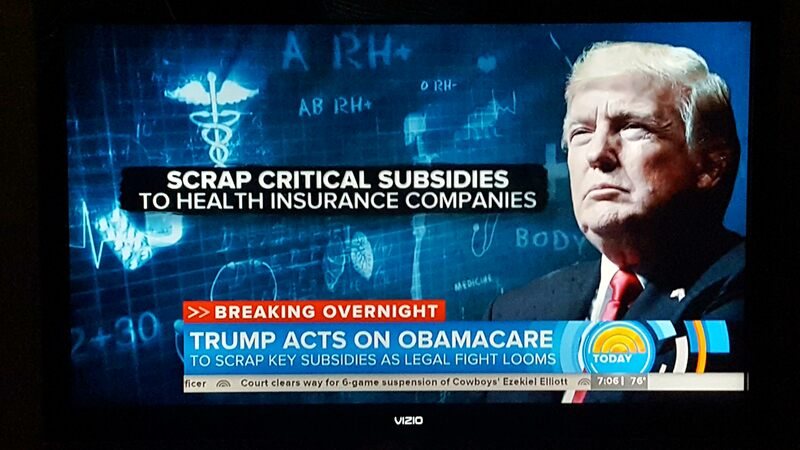 What was already a case of adverse selection in terms of the risk funneled into the new Affordable Care Act (ACA) compliant policies, has now been made a case of adverse selection on steroids. This editor’s concern is that the insurance companies will not be able to sustain the new block of compliant policies and will fail minus another massive government bailout. Like banks, they will be deemed “too big to fail” by the administration. For now. Of course, in good time (after Democrats succeed in maintaining control of things), the safety net will be removed and the liberals will rejoice as the companies fail. And left leaning Democrats will have the single-payer system they have long admitted was their prize objective. An accomplishment so necessary for them to control one sixth of our nation’s economy. This in spite of the fact that every major social welfare program this country has implemented is on the fast track to insolvency. 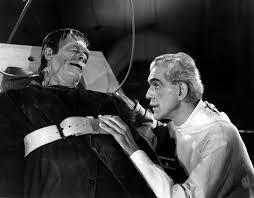 As Dr. Frankenstein worked to destroy his own signature creation, the President now works to gut his. And as always . . . for the sake of politics. HHS quietly repeals the individual purchase rule for two more years. In 2013, HHS decided that ObamaCare’s wave of policy terminations qualified as a “hardship” that entitled people to a special type of coverage designed for people under age 30 or a mandate exemption. HHS originally defined and reserved hardship exemptions for the truly down and out such as battered women, the evicted and bankrupts. This lax standard—no formula or hard test beyond a person’s belief—at least ostensibly requires proof such as an insurer termination notice. But people can also qualify for hardships for the unspecified nonreason that “you experienced another hardship in obtaining health insurance,” which only requires “documentation if possible.” And yet another waiver is available to those who say they are merely unable to afford coverage, regardless of their prior insurance. In a word, these shifting legal benchmarks offer an exemption to everyone who conceivably wants one. Keep in mind that the White House argued at the Supreme Court that the individual mandate to buy insurance was indispensable to the law’s success, and President Obama continues to say he’d veto the bipartisan bills that would delay or repeal it. So why are ObamaCare liberals silently gutting their own creation now? The answers are the implementation fiasco and politics. HHS revealed Tuesday that only 940,000 people signed up for an ObamaCare plan in February, bringing the total to about 4.2 million, well below the original 5.7 million projection. 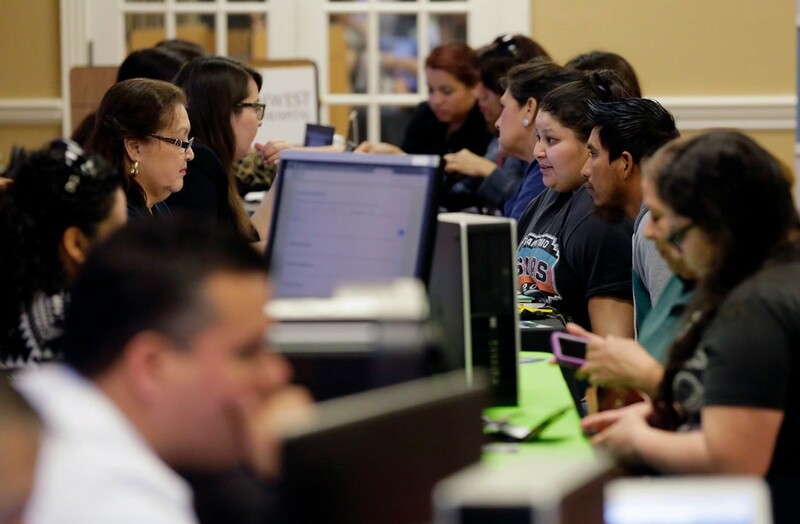 The predicted “surge” of young beneficiaries isn’t materializing even as the end-of-March deadline approaches, and enrollment decelerated in February. 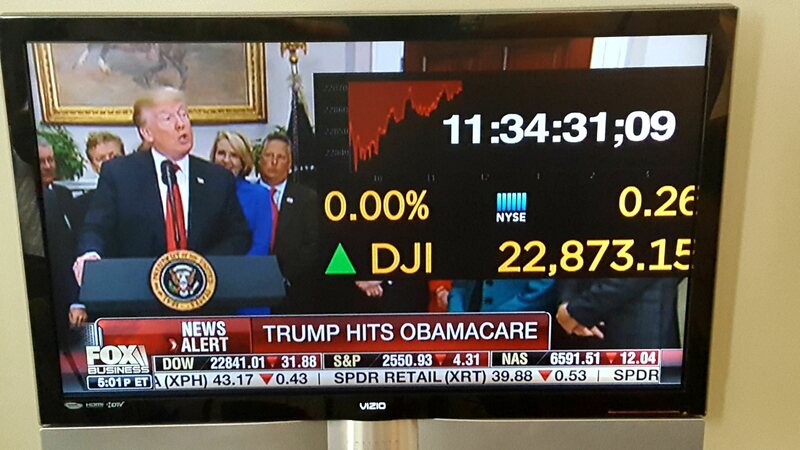 Meanwhile, a McKinsey & Company survey reports that a mere 27% of people joining the exchanges were previously uninsured through February. 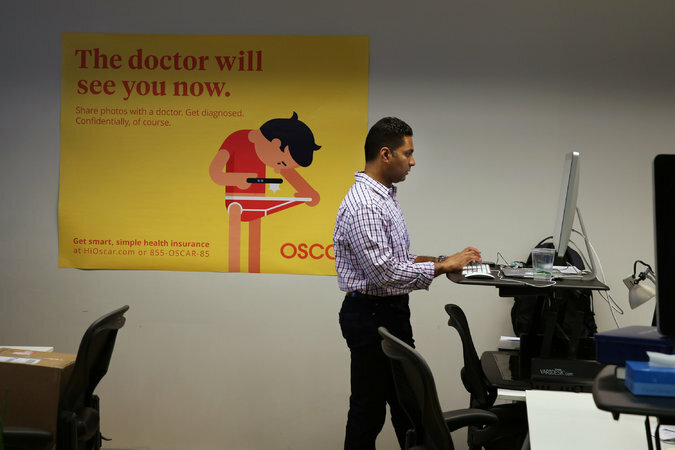 The survey also found that about half of people who shopped for a plan but did not enroll said premiums were too expensive, even though 80% of this group qualify for subsidies. Some substantial share of the people ObamaCare is supposed to help say it is a bad financial value. You might even call it a hardship. HHS is also trying to pre-empt the inevitable political blowback from the nasty 2015 tax surprise of fining the uninsured for being uninsured, which could help reopen ObamaCare if voters elect a Republican Senate this November. Keeping its mandate waiver secret for now is an attempt get past November and in the meantime sign up as many people as possible for government-subsidized health care. Our sources in the insurance industry are worried the regulatory loophole sets a mandate non-enforcement precedent, and they’re probably right. The longer it is not enforced, the less likely any President will enforce it. The larger point is that there have been so many unilateral executive waivers and delays that ObamaCare must be unrecognizable to its drafters, to the extent they ever knew what the law contained. 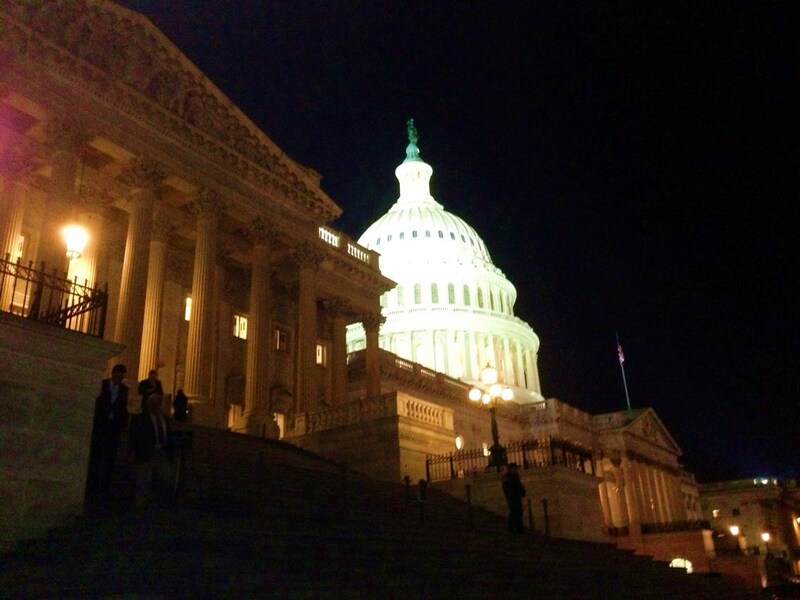 Late last week I returned from the National Association of Health Underwriters Capitol Conference 2014 in our nation’s capitol. Our group stayed in the shadow of the Capitol at the Capitol Hill Hyatt two blocks from where our laws or bills are created and passed. Our primary objective this year would be to address the ramifications of what is arguably the biggest Act ever in terms of its impact on all America. It was my first meeting to attend at a national level and I am grateful for the warm welcome provided me by the Houston, Texas Chapter and the entire experience. I express particular thanks to Lonnie Klene for facilitating my attendance and Malcolm Browne, Sibony-Trevino Toth, Jo Middleton and Jeffrey Bacot for their engaging conversation which made the informal time much more enjoyable. The overall goal of the conference was to represent the interests of health insurance agents and brokers in their role of assisting the public in the administration’s goal of acquiring quality, affordable health insurance. Of course, because of what we now know are the results of the Patient Protection and Affordable Care Act, this seems something of a daunting, if not failed, mission in terms for many of the stated beneficiaries at this point. Still, it was the Association’s stance that the bill is law and for now is the system we have to work with. As much as I would have liked to have protested and lobbied for solutions to our nation’s debt crisis; its lack of a viable energy policy and justice for the victims of Fort Hood and Benghazi – this was not the purpose of our attendance as a group nor the reason the Houston Chapter sponsored my presence at the conference. Those are issues which I will have to address through correspondence with the contacts I made and indirectly at the poll booth in the coming mid-term election. 1) The need for involvement of professionally licensed benefit specialists, i.e., agents and brokers (as opposed to unlicensed, unvetted navigators) to help consumers before, during and–most importantly–after the sale of private health insurance coverage and, of course, our opposition to their exclusion in this process. 2) Our concern over the inability of many employers to afford to offer coverage to their employees and the negative effect this has on our nation’s current economic uncertainty and limited job growth. 3) Our support of a comprehensive bill to rectify provisions of the law and new regulatory requirements that are creating compliance burdens for businesses and conflict with time tested employee benefit practices. 4) Our opposition to changes to time tested traditional definitions of small and large employers and full-time and part-time employees, this last of which has resulted in employers cutting employees to 29 hours thus making them part-time employees pursuant to the new definition (30 Hour Work Week) and contributing to under-employment. 5) Our opposition to age banding which unfairly discriminates against the young and does not accurately assign cost relative to risk. 6) Eliminating the national premium tax projected to add an average of $500 of costs to a typical family policy in 2014 and more thereafter. 1) Our support of efforts to preserve Medicare options flexibility for recipients and restore the long-term financial health of the program. 2) Our opposition to funding the costs of the Affordable Care Act on the backs of our nation’s senior citizens. Specifically, cuts to Medicare Advantage and Part D Prescription Drug Plans. Day 1 of the conference consisted in part of a break-out session covering the current state of the employer mandate; Private Exchanges for Employers; Medicaid 101 and Compliance. Day 2 Addressed The Political Impact of Health Reform; The Future of the Marketplace (federal and state exchanges) followed by lobbying on Capitol Hill. It was at this point Lonnie Klene, Sibony Trevino-Toth and myself met briefly with our District 8 Representative, Kevin Brady and longer with his assistant, Andriu Colgan. Like most aides, Andriu was young, bright and responsive to our concerns (as outlined above) and assured us Congressman Brady was sympathetic to these. In his brief time with us, he confirmed such. 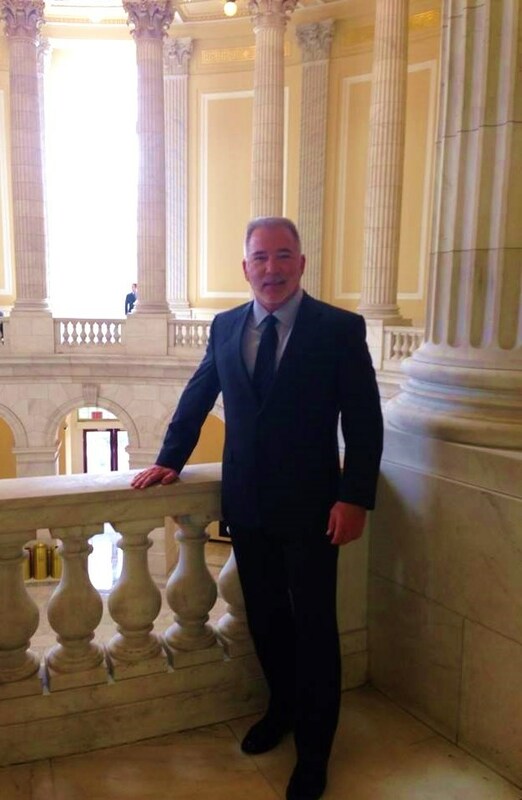 Your blog editor outside Representative Brady’s Office in the Cannon Building. 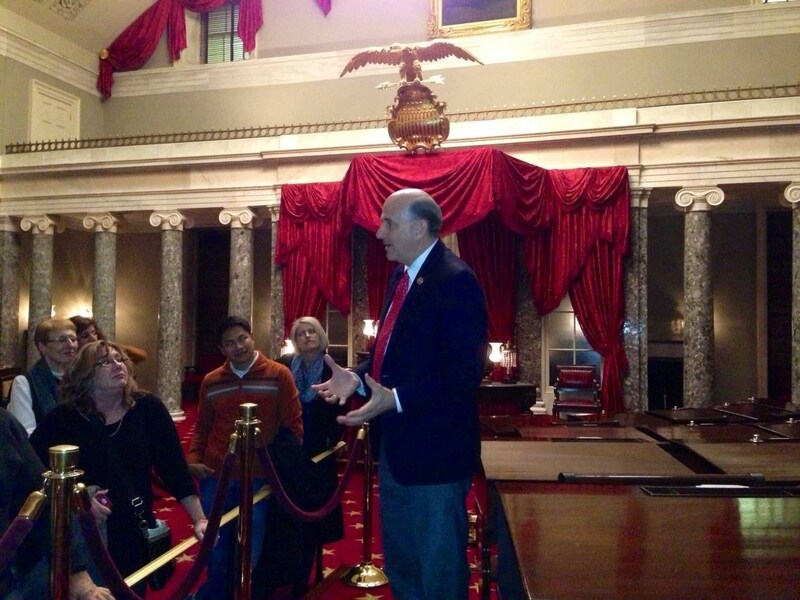 That evening, I was one of a group of Texans privileged to attend a 3.5 hour tour of the Capitol hosted by Texas District One Republican Representative Louie Gohmert, from a boyhood home of mine, Tyler Texas. He insisted he knew some of my cousins, but there was no doubt he knew an incredible amount of our nation and its leader’s history which he very generously shared with us. He is a remarkable story teller with a keen sense of humor and the tour he hosted for us, most of whom will never have occasion to vote for him, proved to be one of the most memorable experiences of my life. My appreciation of our nation’s history and heritage (which was already tremendous) is even greater thanks to him. And he made no bones–he’s with me on the issues! If I lived in his district, he’d certainly have my vote! U.S. Representative, Texas First Congressional District, Louis B. Gohmert, Jr.
Day 3 consisted of a panel of physicians discussing Health Cost Transparency; “The Marketplace Transformed” hosted by Representative Renee Elmers (R-NC); Jennifer Duffy, Senior Editor, The Cook Political Report and Representative Jim Matheson (D-UT). All sessions were followed by a fairly extensive, cogent question and answer period. This last day ended with a special presentation entitled “Taking It All Home” by Dan Clark, motivational speaker and author of, among other works, the “Chicken Soup for The Soul” series. I must say that after the stress of all the change the Affordable Care Act has brought to this agent, and the others in attendance, we were in need of his inspirational soup and it proved very therapeutic. All in all I came home with more knowledge and ideas of how to assist my clients in dealing with the reality and mandates of the Patient Protection and Affordable Care Act as it stands for now. My advice in short? Just don’t blink!